The economic factors mentioned time and again – pipelines corridors etc. Whatever the reasons behind the initial events, at this point in time, it looks like the plan was at least temporarily blocked by a combination of factors: the resoluteness of Syria’s army, the intervention of its Muslim allies - mainly Hezbollah and Iran - and the decisive involvement of the Russian military. 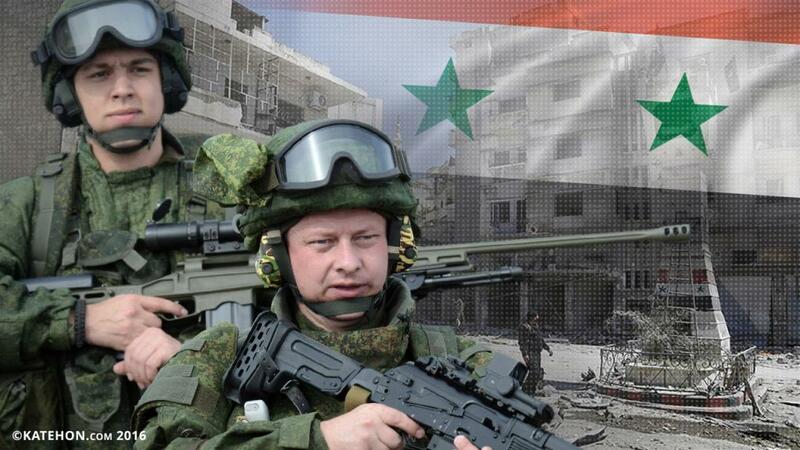 However successful, the significant presence of the Russian armed forces on theatre of battles in Muslim country, carries within itself a very risky scenario – a repeat of Afghanistan. The benefits obtained from blocking the Western assault on Syria, have to be weighed against the risk of stirring-up anti-Russian sentiments in the Sunni world and the internal political risk associated with the losses of Russian military personnel. Creating an internal crisis in Russia, the heartland of world resistance to the unipolar world, based on either significant human losses in Syria or by augmenting tensions with the ethnic minorities within the country, would be a much bigger price for the Western Alliance than the dismantling of a regional player. Of course there is nothing new in the paragraphs above. All the data has been known and taken into account by the Russian decision makers long time before deciding to send the first planes to Syria. So, what are the strategic objectives, worth risking a major crisis, possibly the disintegration of the heartland itself? Are the objectives stated at the beginning of the article worth risking such a crisis, or is it something even more important at stake? So how can Moscow maintain equilibrium and respond to the increased threats at its borders? Well, if we were to give credit to BBC’s researcher Peter Hounam, it turns out that the world did not sit on the verge of nuclear war just during the Cuban Missile Crisis. It happened on at least one other occasion, on June 8th, 1967 during the Seven Day War. On that day, an NSA ship, the USS Liberty was hit by warplanes and torpedo boats. Many people died in what was initially perceived as an act of war from the part of Egypt. Planes carrying nuclear bombs, took off from the 6th fleet carriers USS America and USS Saratoga. According to testimonies the bombers were only three minutes from nuking Cairo, then they were ordered back. Why? Of course some of the facts are clearly established. The attackers were no Egyptians. An "honest mistake" happening in a war zone, said both governments involved. The deliberate sustained attack was survived by some members of Liberty’s crew, its captain, William McGonagle, and even Dean Rusk, the then US Secretary of State. There was collusion between branches of governments, in order to justify a massive American retaliation, the final objective being the total removal of Soviet influence in the Middle East, affirmed Peter Hounam. But if there truly was a collusion and the case was made for American retaliation why stop the planes? Who stopped the nuclear attack on Cairo on June 8th 1967, and why? If we can find out what played the Katehonic role 50 years ago, we might be able to understand the present stakes.